Early this week, China launched an unmanned Long March 2F rocket--an over-1 million-pound rocket carrying the 17,817-pound Shenzhou-8 spacecraft, The Shenzhou spacecraft had its rendezvous with the Tiangong-1 spacecraft on November 3. This docking marked a big step forward in space technology and travel for the Chinese. The docking is the first time that China has ever joined two space vehicles together. After 12 days of orbiting Earth, the two spacecraft will separate and attempt a second docking before detaching and autonomously deorbiting. This unmanned docking is the precurser to a manned mission in 2012 that will dock with Shenzhou 9. China's is one of only three space agencies to ever achieve automated rendezvous and docking. The Kurs docking system, developed by the Research Institute of Precision Instruments, provided automated docking for Russian vehicles, including the Soyuz and Progress spacecraft that docked with Mir. Later, the European Space Agency developed the Automated Transfer Vehicle (ATV)--an unmanned resupply spacecraft--which was designed to re-supply the International Space Station. The Tiangong-1 spacecraft, launched on Sptember 29, 2011, is a test vehicle used to conduct orbital docking and operations testing. It will dock not only with the Shenzhou-8 but also with the manned Shenzhou-9 and 10. Tiangong-1 has a habitable pressurized area, solar panels, propulsion systems, sleep areas, and exercise gear. With the success of the Tiangong-1 docking missions, the Shenzhou spacecraft, and the 100-percent success rate of the Long March 2F rocket, China plans to begin building a 60-ton space station by 2020. 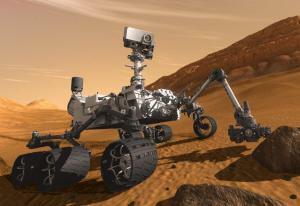 China also has a Mars probe (November 2011 launch) and a lunar-lander and rover (2013 launch) in the works. To date, there are a number of space programs and companies around the world working on launching higher and higher. With one more to the competition hopefully space travel costs will drop and let us all go to the stars.